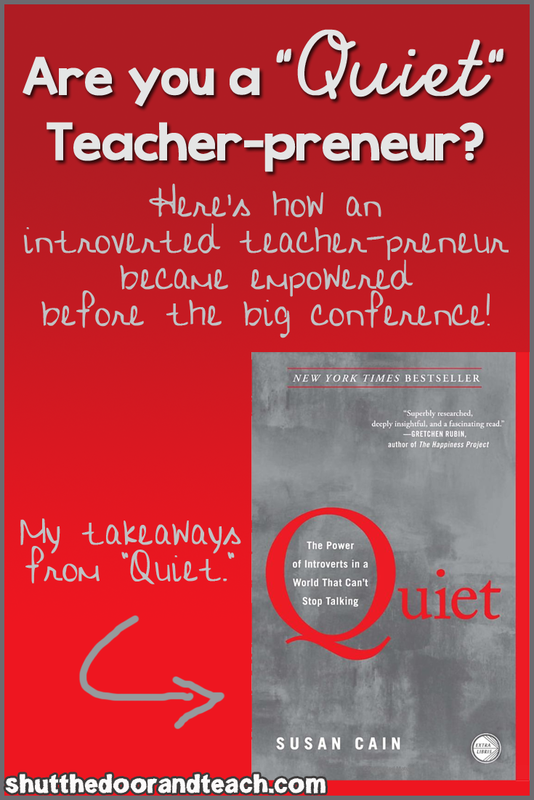 I’ve been reading Quiet: The Power of Introverts in preparation for the Teachers Pay Teachers conference. This book is not what I was expecting. I was sort of expecting it to help me (an introvert) use my strengths when out in social settings. So far, after 3 chapters, it’s not really about that. But I’m still enjoying it because it makes me feel empowered. Although the book cover tells you that it's about introverts living in a society that celebrates extroverts, it’s not just a book dedicated to building up introverts at the expense of tearing down the extroverts. For example, it starts out explaining how a certain partnership was more powerful because it was comprised of one introvert (Rosa Parks) and one extrovert (Dr. Martin Luther King Jr.). Introverts and extroverts shine in different contexts, so both traits are valuable. The book goes on to talk about the history of social expectations and the rise of the “big personalities” (because loud and bold were not always socially acceptable traits). It gives examples in colleges and churches of how introverts today feel marginalized. How introverts have made major contributions in law, literature, art, science, math and technology, but in modern times feel in some ways lesser than their extroverted colleagues. I could relate to feeling "guilty" about my shy feelings and difficulty in certain social settings, and it's nice to know I'm not alone; at least a third of the population in America and Europe is with me on this. But not only will there be lots of others with the same feelings as me at the conference; these feelings might not be because of personality, but may be because of societal values that are less than 100 years old. That's pretty freeing! Another thing I loved about this book is it justifies what I have long known (since at least 6th grade) to be true: not everyone learns best by working and talking in a group. In my experience it is expected for teachers to seat students in groups for most of the day. Some administrators are understanding, but some believe that students need to learn how to work in groups because that will prepare them for the real world. This book calls out those administrators. I felt like the author was saying, “Yeah, and if the business world told you to jump off a bridge, would you do that too?” The book shares research and examples of times when group work STIFLES CREATIVITY. Times when the open floor concept in a business setting has LOWERED PRODUCTIVITY. I spend a good amount of time socializing my students. I know that regardless of where you are on the introvert/extrovert continuum, you need to learn how to communicate with others. You need to learn and practice good citizenship and character. I want that for my students, absolutely. But I also know that there comes a time during math that some kids need to think in peace. 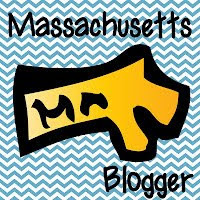 So this year, in the second half of the year, I did exactly what this blog proclaims. I shut the door and taught. After the 5 minute math mini-lesson, after the 15 minute group practice time, I handed out the privacy partitions that we use for testing. I reassured the kids that this wasn’t a pop quiz, but the rules of testing applied. No talking. Questions are allowed, but I would be giving minimal help because I wanted them to take the time and make the effort to try to work through the problems on their own. The first day was rough, but I told them this too, was practice. Tomorrow we’ll try again, and tomorrow, practice good listening during the mini-lesson. Use the 15 minute group work time to ask a LOT of questions. And once the partitions go up, try out those new strategies during the quiet working time. That second day many of the kids LOVED it. It was classic “I do, we do, you do.” But the “you do” wasn’t “you kids working together,” it was “each of you, try this on your own.” And they thanked me for it. They felt empowered being able to work on their own. Some realized they needed extra help, and were more focused when the time came for remediation, while others mastered the concept and moved on to focus on other math activities. Some chose to work with a partner and some asked if they could keep working alone. They were trying out different ways to learn to find out what works best for them, and isn't that equally as valuable as learning to work in a team? Now, this book has not made me look forward to the conference any less. The book doesn’t say that introverts will learn nothing from a conference, haha. In fact, it talks about how introverts make great ONLINE COLLABORATORS even when face to face collaborating is draining for us. It has made me feel confident that I have a lot to offer, even though I will probably feel exhausted instead of exhilarated by meeting new people. I will need to recharge afterwards and go over my notes on my own, but still reap just as much benefit from attending. So if you are an introverted teacher too, and you feel as though the system isn't working for you, know, at least, there isn't something wrong with you. And at best, look for ways to bring your style back into your classroom, even if it's for small amounts of time. 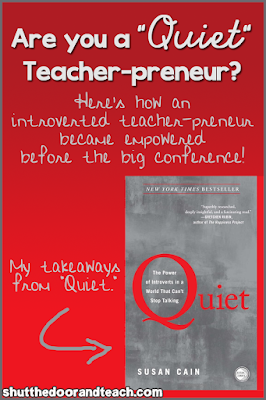 Because some of your students are going to continue to benefit from the way things have been, but some are really going to benefit from a teacher who teaches for the introverts. Thank you for giving me some interesting ideas to think about. I really like how you revamped the I do We do You do. Thanks for your helpful tips and recommendations. As an introvert, I really understand what you are talking about! Today’s world celebrates extraverts and being an introvert is not easy, especially, if your profession requires strong communicative skills. 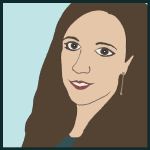 Reviews of resume writers NY helped me to become a teacher and get a good job but after talking to people for the whole day I feel a little exhausted and I feel a need of being alone for a while. Moreover, public events where I need to speak in front of an audience are complicated for me but I hope that the book you’ve recommended will help me to deal with my problem.